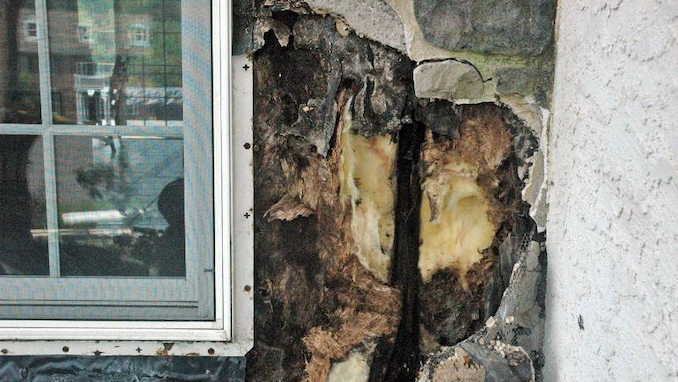 A renowned building scientist has called Eastern Pennsylvania “The stucco failure capital of the United States” due to improper installation techniques for thin stone veneer and stucco. Join us at 9:30 am on Tuesday, December 11 when Steve Long from Mas-Con presents a seminar on Controlling Moisture in Stone Veneer and Stucco Applications. Steve’s presentation will discuss the importance of proper installation techniques to prevent future problems and expensive callbacks, and will review important products including moisture-resistive barriers, Keene Rainscreen and weep screed.